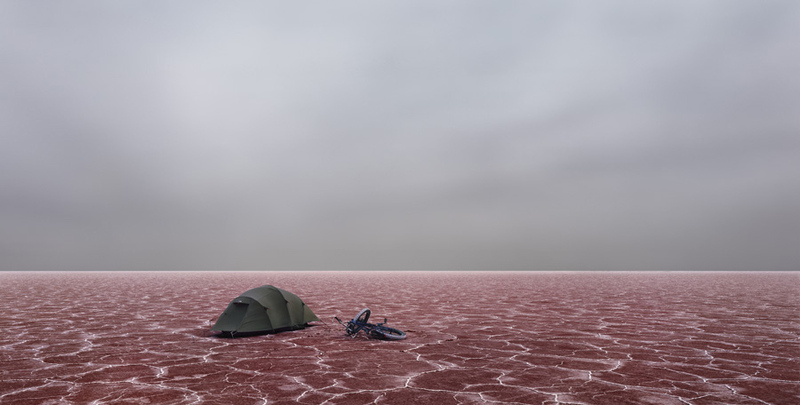 Salt has showed in numerous public and private galleries in Australia and around the world, most recently at the Australian Centre for Photography, Sydney. Fredericks derives his committed, immersive philosophy of photography from the five years immediately after his undergraduate degree, which he spent travelling in the Middle East and Himalaya. The experience of these powerful locations continues to provide the basis for his search into the timeless essence of a place beyond its socially-constructed value. 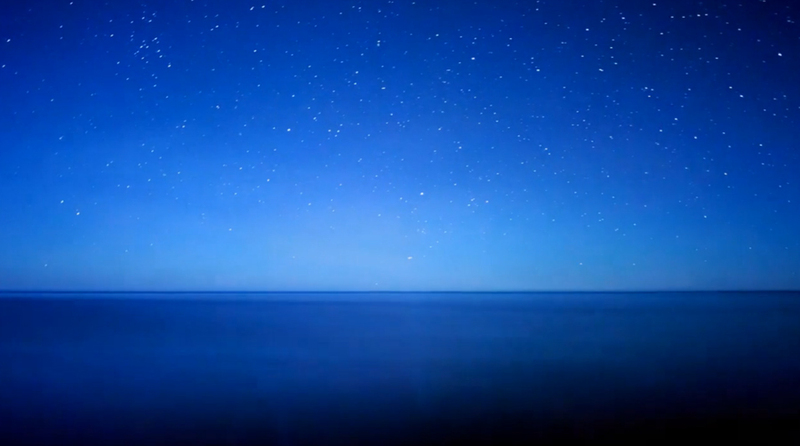 Iridium, this extraordinary time-lapse video produced as part of the Salt project, reveals Lake Eyre as a place even flatter, larger, more open and more magnificent than we city-bound folk could ever imagine it to be. From horizon to horizon to horizon, it is empty. Yet, Fredericks’ cinematography possesses a relentless energy, exploring the ever-changing relationship between land and sky. The land is inundated and the sky is placid, shades of blue seen nowhere else in the world; the land is parched and the sky is furious, churning with the electrical charge of a coming storm; the land is hidden and the sky is mystical, the Milky Way wrapping the Earth. Clouds do not limp across the sky, they boil or froth or burn. The sun does not rise apologetically through smog or ozone haze, it explodes across the land. A star field sweeps smoothly and silently, shedding intermittent light through fairy-floss cirrus clouds onto an inundated Lake Eyre as pristine as glass. The contrast in pace between stars, clouds and rare wildlife reveals the fragility of Fredericks’ journey and the unimaginable sizes of planet and galaxy it inhabits. Agreed, Plaidoak. Fredericks has an extraordinary process that results in some stunning photography. Did you have a look at the Iridium video? With motion and a soundtrack, the works are even more amazing. great find W, hadn’t seen his works before. reminds me of Gursky’s Rhine II photo, presents an intriguing flat and linear perspective. Good comparison. Gursky’s photo has that same flatness – without people or buildings or other artefacts to give a sense of scale, both works don’t make sense as part of an everyday experience. They become strange and other-worldly.